16 Venues to Celebrate Valentine's in Style! 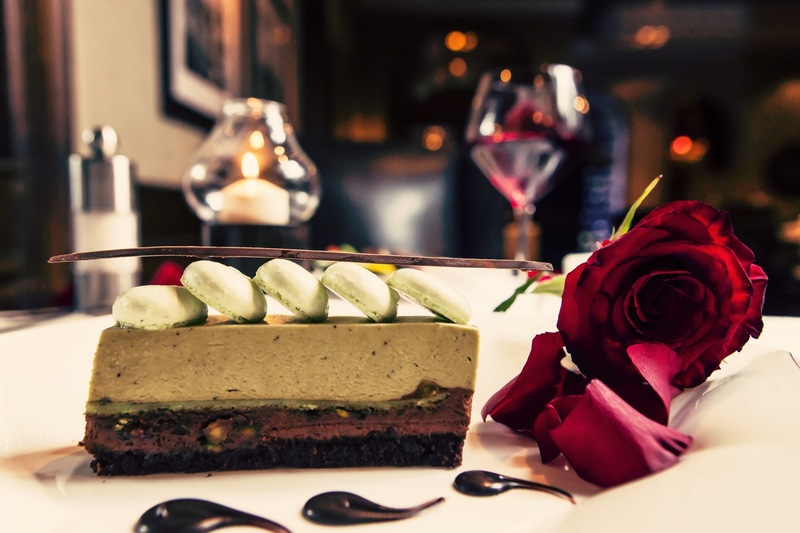 Home Our Guides 16 Venues to Celebrate Valentine’s in Style! If you’re not that good with romantic gestures we are! Here’s a list of some venues that are offering romantic candlelit dinner, live music, entertainment and maybe even a massage! 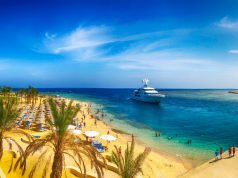 Celebrate Valentine’s Day in the heart of the city at the Cairo Marriott Hotel & Omar Khayyam Casino. Spend a romantic candle-lit evening at Saraya Gallery and enjoy a specially curated Valentine’s set menu. 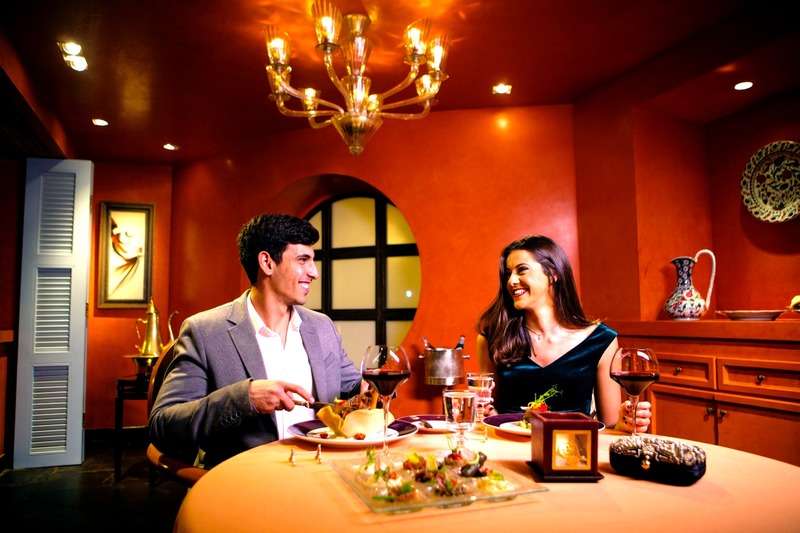 Or opt for the romantic streets of Tuscany at Ristorante Tuscany and relish authentic Italian cuisine this Valentine’s. Stroll the Garden Promenade Café or head to Japan with Torii and enjoy an exciting Teppanyaki show. Valentine’s Day specials will be available at The Bakery starting from February 10th. 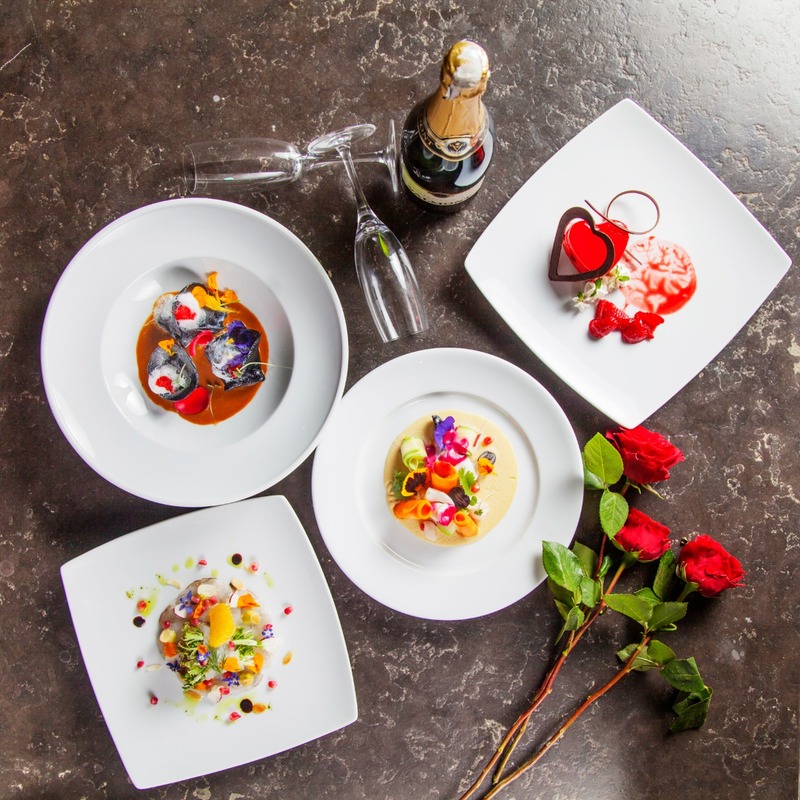 Dusit Thani LakeView has prepared plenty of ways to celebrate Valentine’s. TAO restaurant will feature a jazz night with singer Harfoush on Wednesday the 13th. On the 14th, guests can enjoy an outstanding jazz night and hit the dance floor at Ruen Thai with Pino on Thursday on the 14th. The hotel will also host the comeback of Latin band, Edward and the Gypsies on Friday the 15th. Devarana spa is offering a Melodic Romance Ritual package, inspired by Thai heritage, featuring a skin-nourishing aromatic blend of chocolate, fresh strawberry, champagne, and rose petals. Don’t forget to pass by everyone’s favorite Gourmet for Valentine chocolates, cakes, and other romantic goodies. Make it a night to remember at the spectacular Grand Nile Tower Revolving Restaurant. With remarkable views from atop the city, enjoy a romantic candlelit dinner, enchanting atmosphere and musical melodies on this special night. 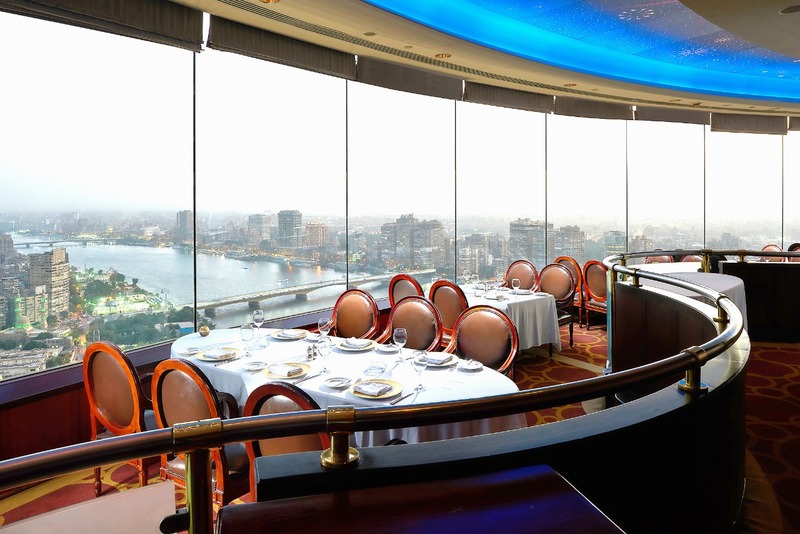 This exquisite experience with an astonishing 360-degree panorama of the Nile and city of Cairo makes the Revolving Restaurant one of Cairo’s most romantic meeting places this Valentine’s Day. For an alternative experience, the Marquise yacht at Grand Nile Tower offers a delectable dinner in an intimate setting with live entertainment while cruising the Nile. 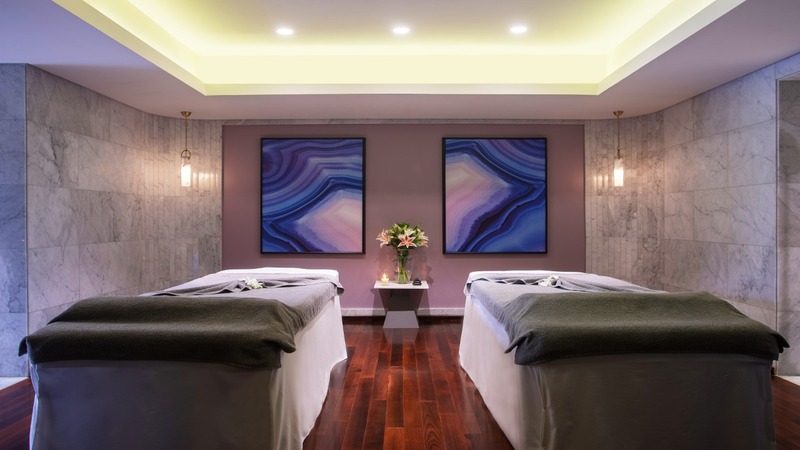 Enjoy a relaxing Valentine’s Day with your partner at the Private Spa suite, with a 50-minute soothing massage followed by a 30-minute refreshing scrub and a freshly squeezed orange juice. You can have a taste of authentic Ottoman platters at Osmanly restaurant, or have a luxurious dinner date at Blue Restaurant. The Jazz Bar is perfect for a musical date, jamming to the melodies of Michelle Rounds’ voice. Or why not enjoy an incredible date with a view at the special Valentine’s Day themed party in the Nile Room? 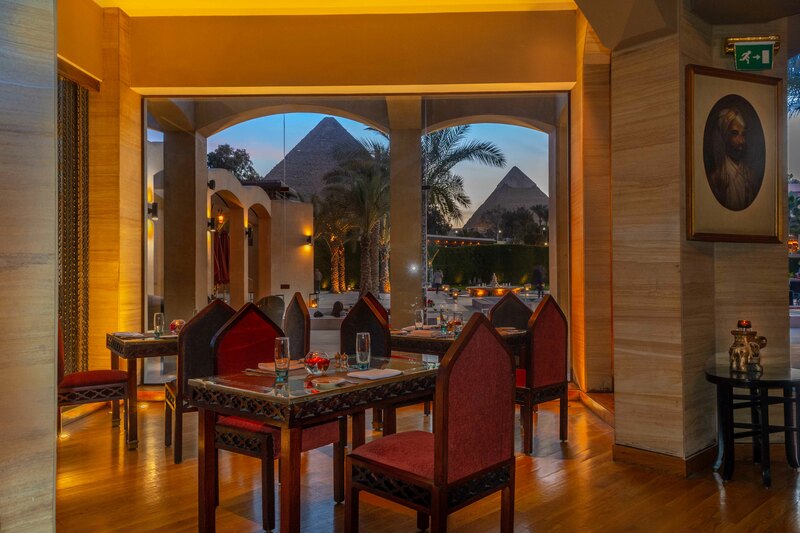 Romance lies at the foot of the Giza Pyramids with special Valentine’s Day offerings from Marriott Mena House. 139 Restaurant offers a special Valentine’s Day buffet with live jazz entertainment from 7:30 pm to 10:30 pm. An à la carte menu is also available. 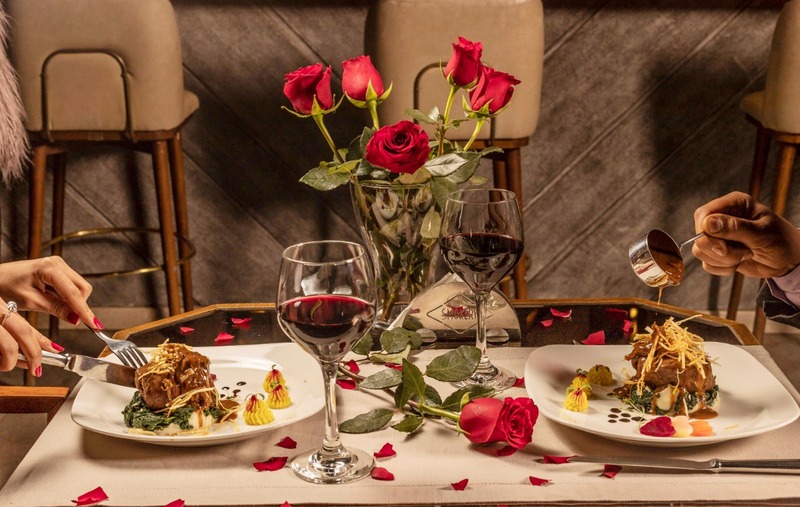 Alfredo restaurant rolls out a special Valentine’s Day set menu along with live entertainment from a guitarist and a percussionist from 7 pm to 11 pm. There are two reservation timings, the first seating is at 7 pm and the second seating is at 9 pm. To add spice to Valentine’s Day, Moghul Room offers a special set menu in addition to the à la carte menu, also with two reservation timings of 7 pm and 9 pm. The Bridge features a special fivecourse set menu with a bottle of local sparkling wine, non-alcoholic beverages and live entertainment. Paloma restaurant features a 4-course set menu including a glass of local sparkling wine on arrival or non-alcoholic cocktail with a romantic setting with a saxophonist. Dunes Bar will feature romantic table settings and live entertainment. Heavenly Spa offers a couple’s massage, including a romantic set up with red roses, strawberries and chocolate. 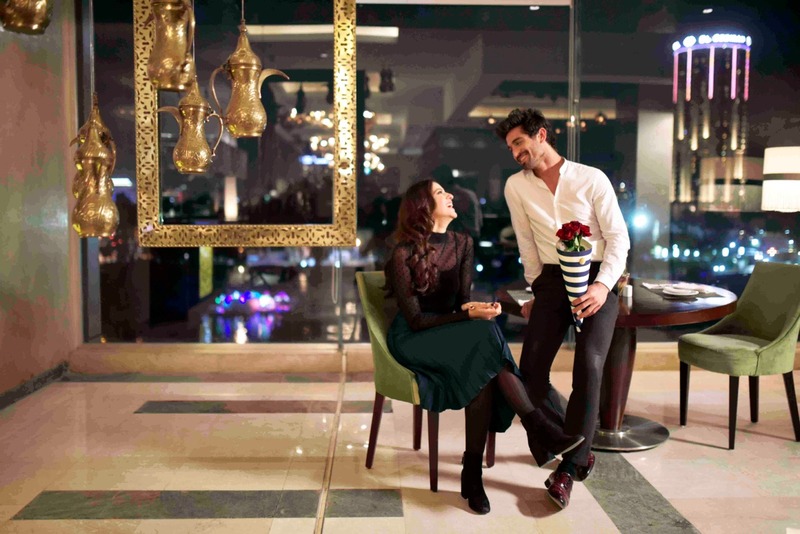 Celebrate the season of love and the romance at Le Méridien Cairo Airport and pamper your significant other with a romantic candlelit dinner on Valentine’s Day at Mezzeh, featuring a specially crafted four-course set menu. Add a little effervescence to the evening with a classic Sparkling Kir Royale welcome drink with a twist. For something different, escape all the romance and try an Anti- Valentine’s Party at Live Sports Bar. No hearts. No hugs. No flowers. No red colors. Go with your friends and party in a fun Anti-Valentine’s Day way. 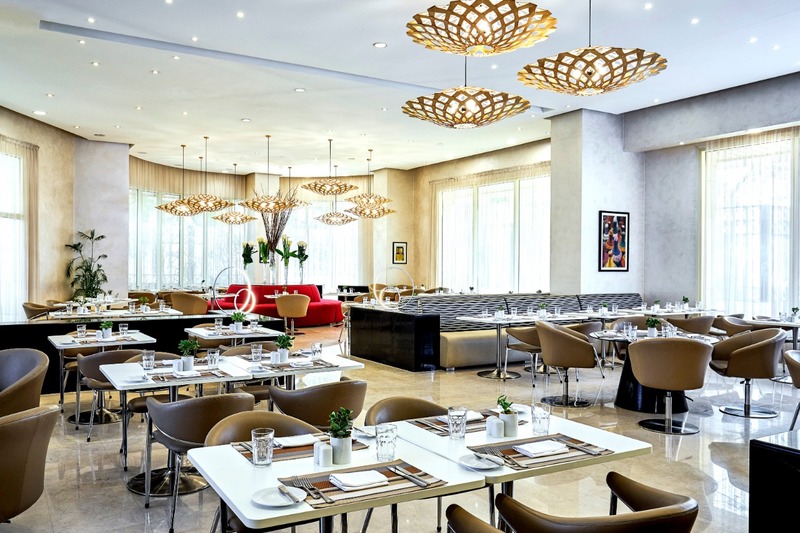 Perfectly situated in New Cairo’s Lakehouse Club, the newest addition to Baky Hospitality’s group of restaurants offers a dream menu and outstanding service. 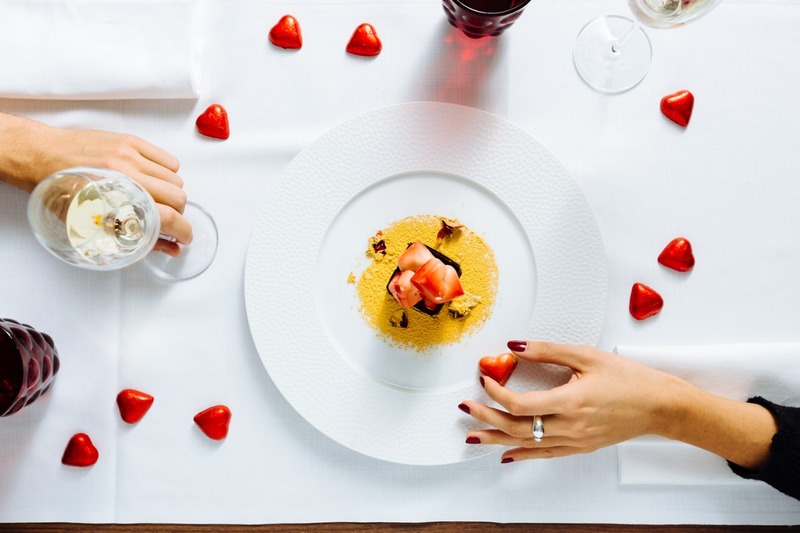 The edgy but elegant décor can’t help but impress, so why not make it a truly memorable Valentine’s Day for someone you would love to pamper? Pier88 at Pyramid Hills on the Cairo Alex Desert Road has put together a spectacular menu to make this a Valentine’s Day to remember. Couples can enjoy a dinner buffet at Citron or party the night away at a Valentine’s Party with eclectic cocktails and music. Surprise your partner by gifting them with a delicious Valentine’s Day cake from En Passant. Celebrate love like a Parisian and indulge in French-style romantic date nights weekly, Thursdays to Saturdays at Romanov with a six-course menu and saxophone music. – At Lucca, Chef Giovanni has put together a signature six-course set menu for two, available Thursdays to Saturdays, with Italian specialties and guitar accompaniment Visit Yana any day of the week to enjoy the exotic flavors of Asia. Enjoy Indian specialties throughout February and a Chinese menu until the 20th of February. For reservations or inquiries, please call 0109 711 1151. – Resense Spa offers attractive couples massage options throughout the month. – Michelin-starred chef Giorgio Diana’s six-course degustation menu of innovative and luxurious dishes comes paired with an aperitif and selected wines. Set in the contemporary candlelit elegance of this new venue, the ambience and dining experience couldn’t be more romantic. Love is definitely in the air at Semiramis InterContinental Cairo this Valentine’s Day. Celebrate this international day of love with your loved ones and choose amidst an array of options. Whether you would prefer a quiet romantic setting at The Grill or a fun-filled Dine “n” Dance Valentine’s Edition at Pane Vino with Cairo’s favorite singer, Ahmed Harfoush. 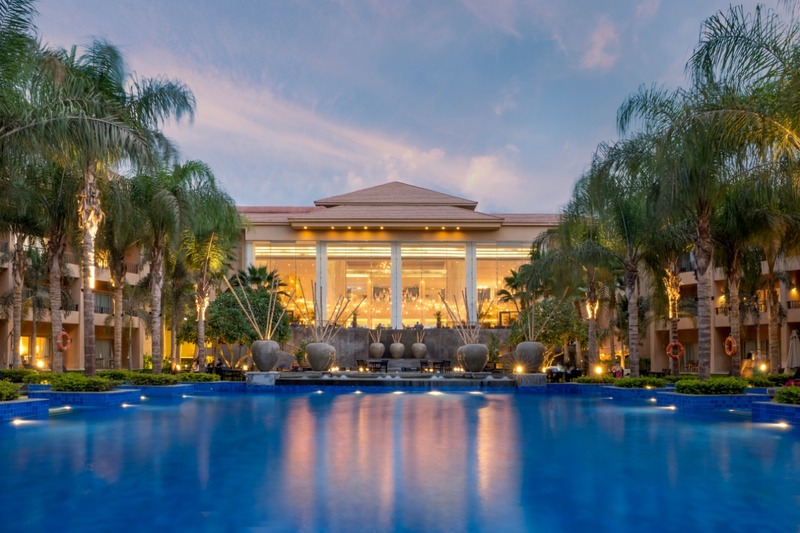 Celebrate your love this Valentine’s Day with an exceptional stay at Sheraton Cairo Hotel and Casino. Kick off this romantic day with wine and cheese at Bridge Café. Then accompany your loved one to a romantic five-course set menu dinner at Giannini’s, the first New York Italian restaurant in Cairo. Or enjoy “Siret El Hob” early seafood buffet dinner at Rawi restaurant with the music of legend Om Kalthoum. Finish off the night at Studio 70 where you can dance to Latin tunes and savor a fresh sushi platter. 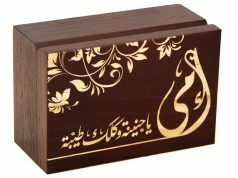 Don’t forget to buy your significant other a chocolate box from Café Fontaine to add some sweetness to this special day and book your room to extend your celebration for a weekend full of love. On Valentine’s Day, couples can set the romantic tone on high at Downtown Restaurant with an extensive selection of international cuisines and an additional variety of Valentine-inspired desserts, or relax at the renowned MividaSpa with an array of pampering treatments to revive the senses. Treat your special someone to a dinner they won’t forget with live entertainment at The Smokery on Valentine’s Day!